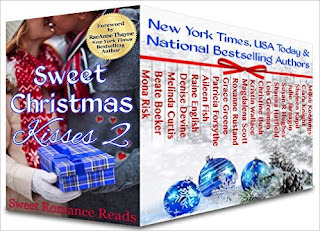 Thank you all for attending our Sweet Christmas Kisses II launch party! For our next event, we’re having an Open House party at The Sweet Romance Reads Café on October 17th (details to follow soon) with prizes and the opportunity to meet many of our authors. We’ll see you at the open house! Have you signed up for our newsletter yet? Scroll down the right side of our blog and enter your email address under Newsletter Signup.